Currently, PPF interest rate in India is checked every quarter. However, it was not the same before. PPF interest rates were recalibrated on an annual basis. State bank of India (SBI) offers its internet banking facility to apply for a PPF (Public Provident Fund) account. India's largest financial institution, SBI, gives this facility as a part of its online banking services. Even with the dipping interest rates, wealth managers and advisors believe that PPF or Public Provident Fund still remains a good choice for long term financial savings. 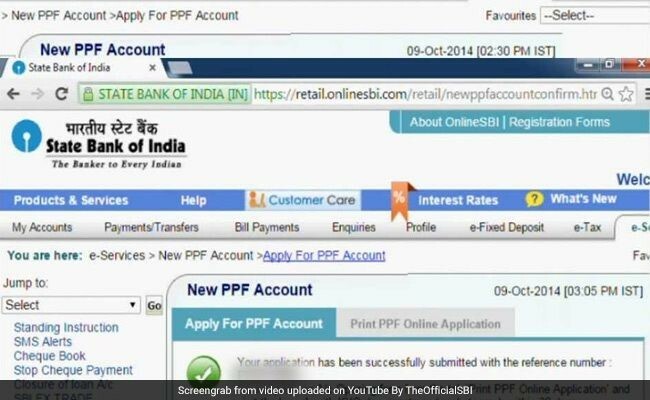 SBI's 'New PPF Account' facility enables SBI customers - who have subscribed to its internet banking - to apply for their PPF or Public Provident Fund online. A digital form may be submitted with a photo and KYC (Know Your Customer) documents at any SBI banking branch. 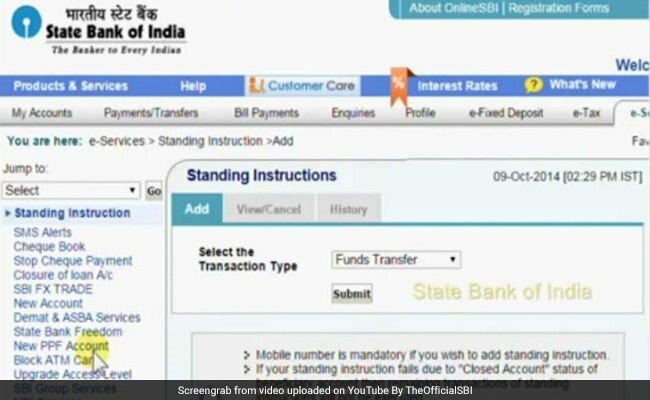 SBI has shared an explanatory video on its website - onlinesbi.com - explaining the process. 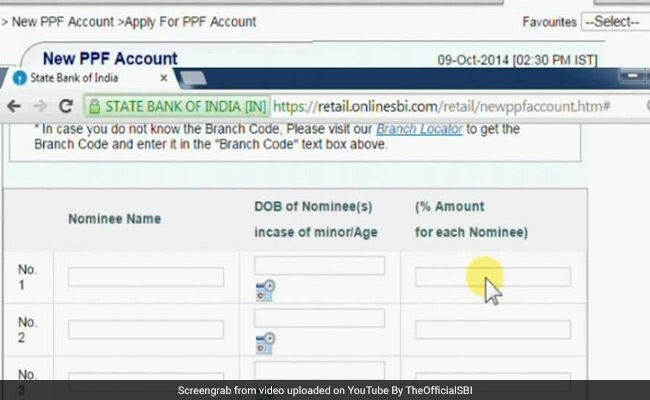 How to create new PPF account through SBI website onlinesbi.com? When you login in to your SBI internet banking portal at onlinesbi.com, locate the 'New PPF Account' option beneath the 'e-services' section and click on it. This leads to the 'New PPF Account' page on the SBI portal. 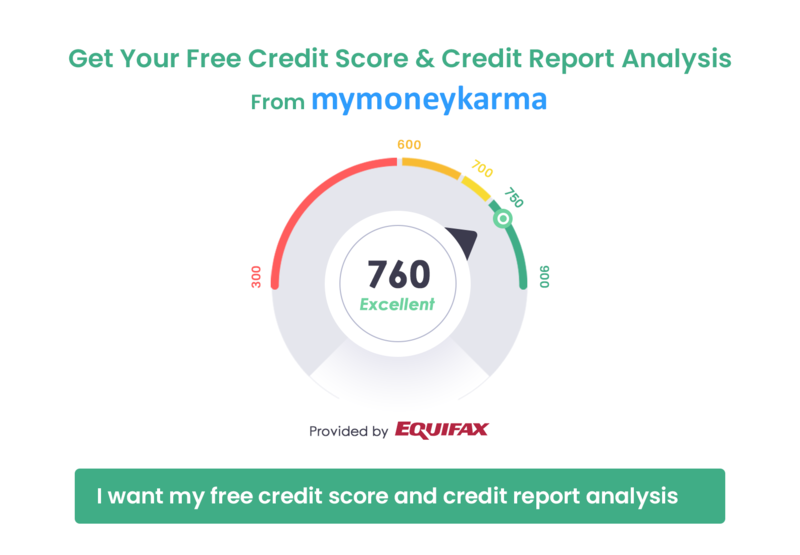 Existing customer information, along with his or her PAN (permanent Account Number), is displayed in this page. 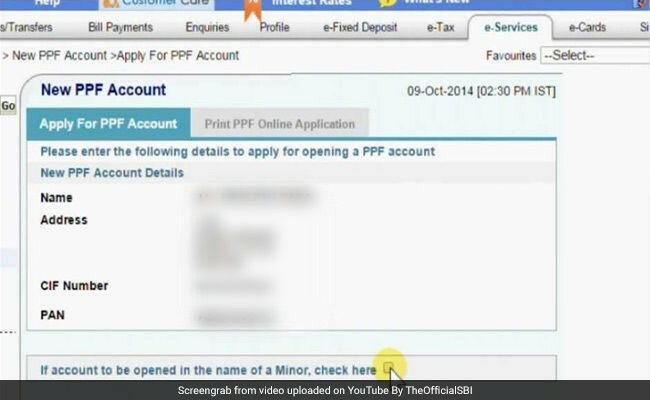 With this feature, SBI clients can additionally open another PPF account in the name of a minor. Enter the branch code (5 digit code) in the given field. 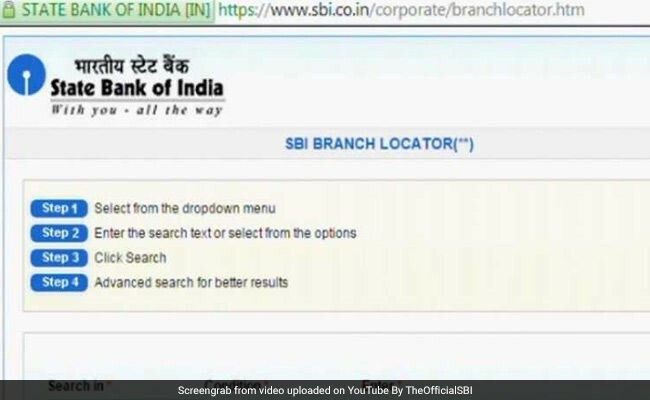 SBI's onlinesbi.com portal also allows customers to look for the branch code of their preferred SBI branch via the 'branch locator' tool. Once you input the branch code and continue with the following field, the portal automatically displays the respective branch name. After this step, the customer is required to provide names of any nominees to the PPF account. After entering the required information, continue by clicking on 'submit'. 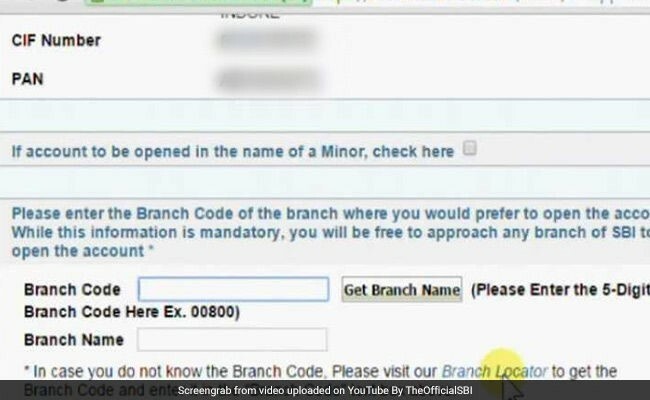 After successfully submitting, the SBI portal comes up with a unique reference number. Please print the account opening form from the tab 'Print PPF online application' and visit the branch with KYC documents and a photograph within 30 days, to complete the SBI PPF application process. Please keep a note that the A/c opening form will be deleted after 30 days from the date of submission. Even a digital format, i.e., PDF version of the form is available from the 'Print PPF online Application' tab. After partly filling the form with the necessary details in the SBI portal, customers can print the form, fill out the PPF amount, affix a photograph and enter the other important information. They must sign the form and submit it at the bank branch together with the KYC documents. The application additionally comes with form E, meant for mentioning any nominees for a new PPF account. The customer has to also share information pertaining to any other PPF account that he/she had already held in the past. Investments in PPF presently (2019) get an interest rate of around 8%. Also, PPF enjoys EEE (exempt-exempt-exempt) in terms of income tax implications - contribution, interest and maturity are all tax-free. Interest charge on PPF and other small financial savings scheme are presently being reset every quarter since April’16. However, it was computed annually earlier.